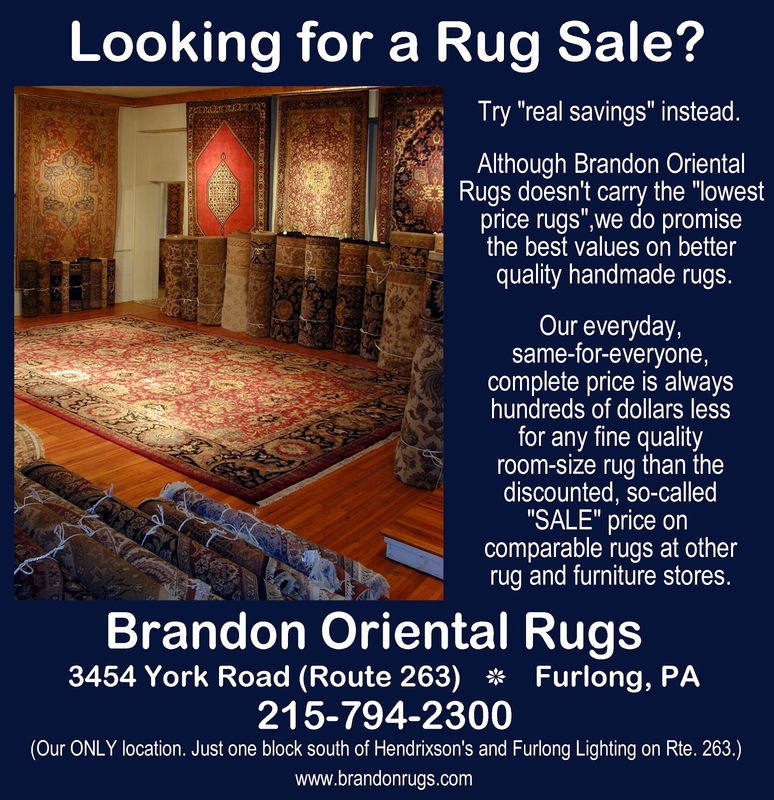 Looking for a Rug Sale in Bucks County, Montgomery County, or the Lehigh Valley? 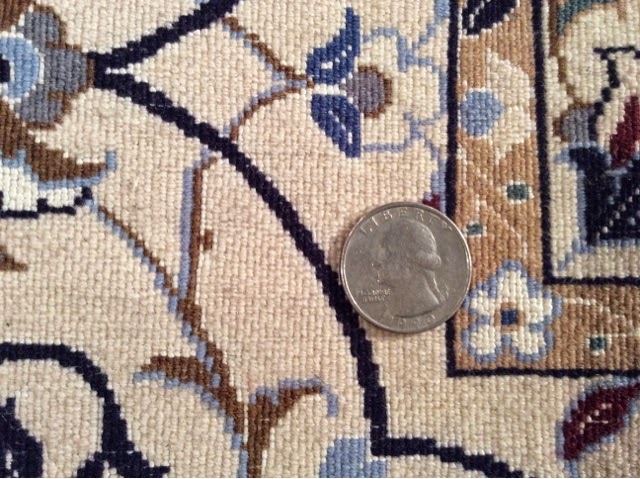 Looking for a Rug Sale? Try real savings instead. 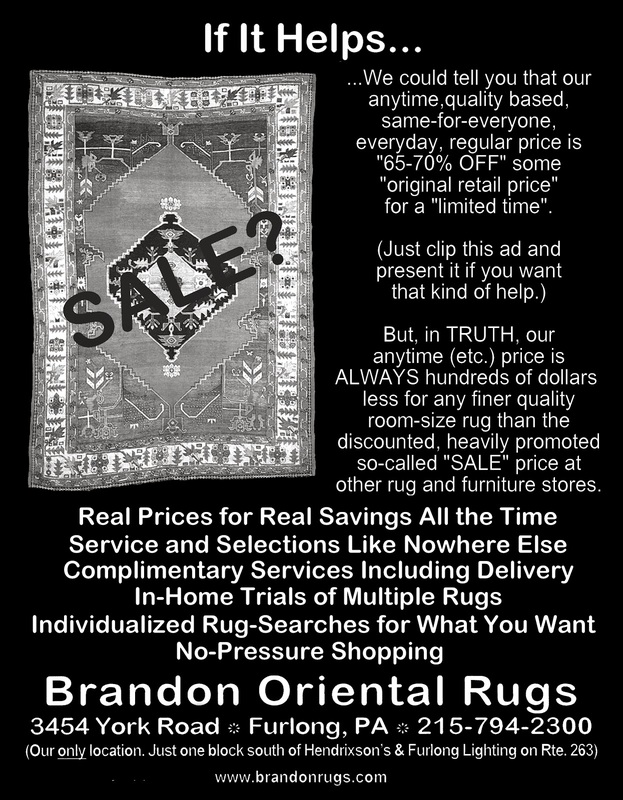 The everyday, complete price for fine quality hand-knotted room-size rugs at Bucks County rug store, Brandon Oriental Rugs -- www.BrandonRugs.com -- is always hundreds of dollars less than the price for similar rugs through online vendors; or the so-called "SALE" price at other rug and furniture stores. Real prices for real savings all of the time. Service and Selection like nowhere else. Complimentary services including delivery. 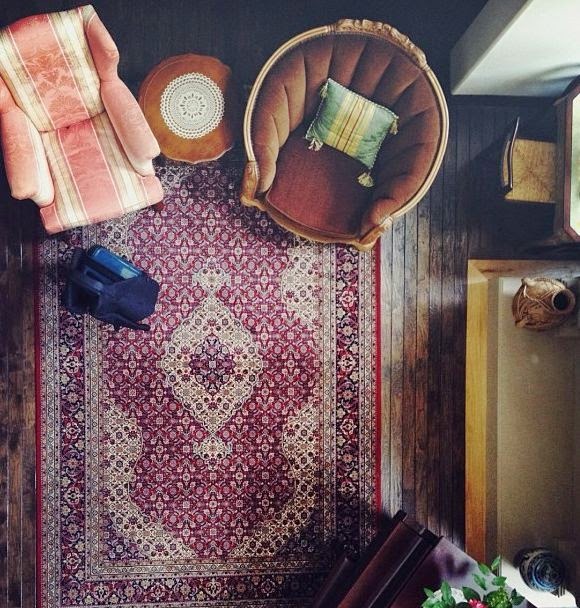 In-home trials of multiple rugs at one time. 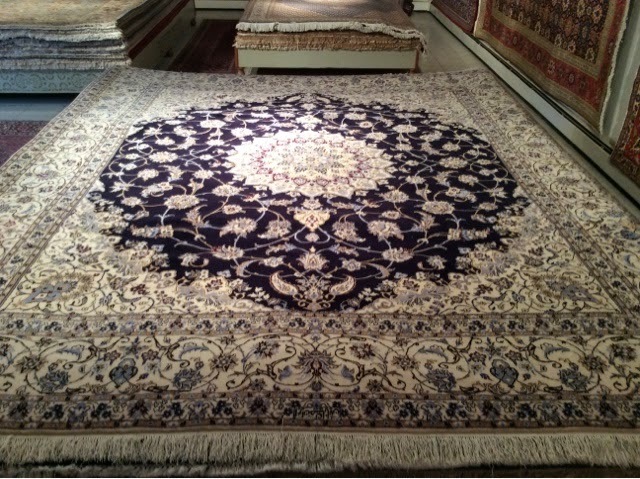 Individualized rug searches to help you find the rugs you want. No pressure shopping. 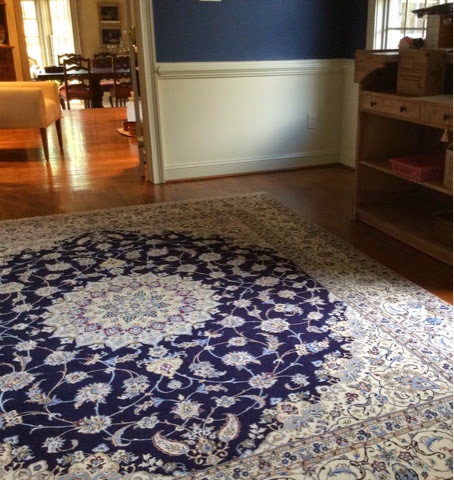 Our customers, new homeowners in Newtown, PA, selected this beautiful and rare 8x10 Persian Habibian Nain rug to grace the floor of what will soon be a completely refurnished sitting room just off the entry hall of their new home. 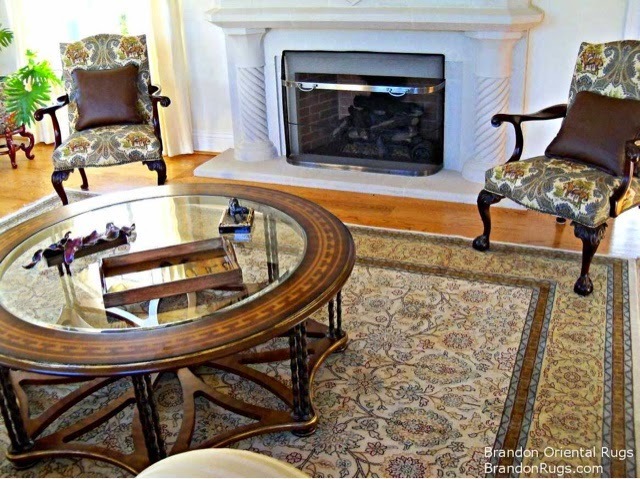 They had been searching online, and at other rug stores in the region, but had been unable to find a rug of this quality at a price commensurate with the low price Brandon Oriental Rugs was able to offer through our Rug-Search service. 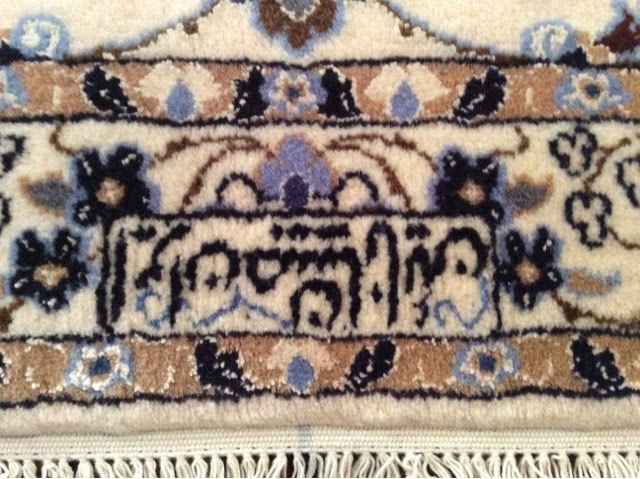 Rugs of this quality are increasingly scarce as a result of the ongoing trade embargo with Iran. It was our great pleasure to be able to find it in our network of suppliers, and to fulfill the desire of our customers to acquire this enduring treasure for themselves. 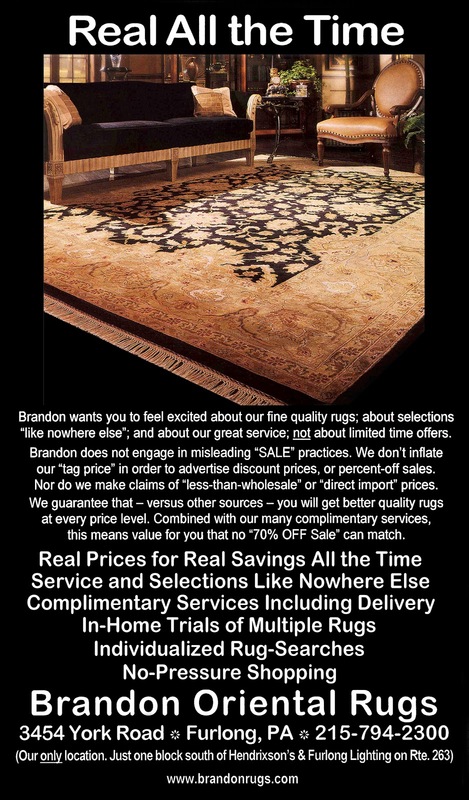 Bucks County, PA rug store Brandon Oriental Rugs (BrandonRugs.com) wants you to feel excited about our fine quality rugs; about selections "like nowhere else"; and about our great service; not about limited time offers. 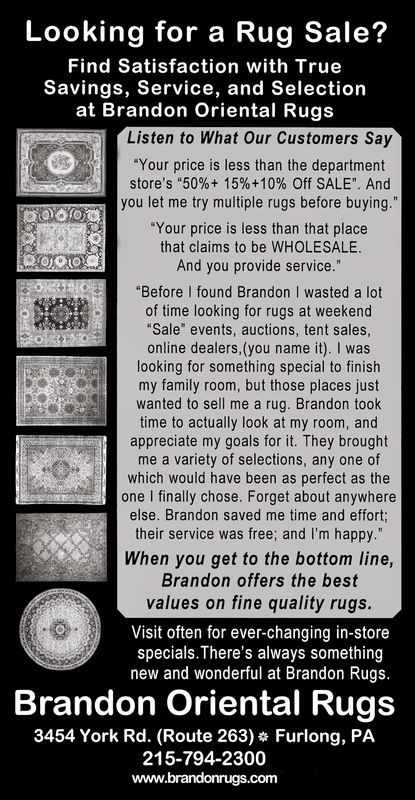 Brandon does not engage in misleading "SALE" practices. We don't inflate our "tag price" in order to advertise discount prices, or percent-off sales. 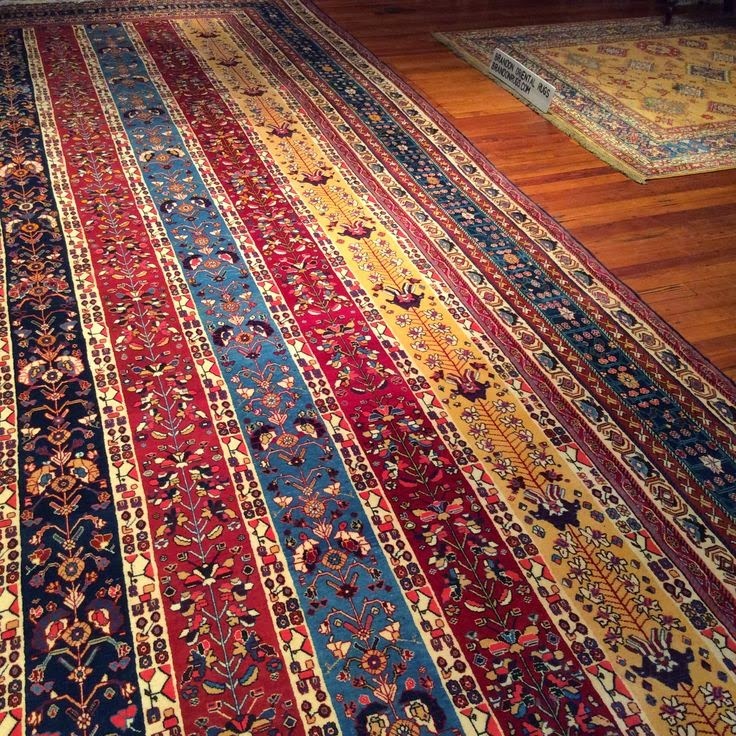 We guarantee that -- versus other sources -- you will get better quality rugs for what you want to spend, and that you will spend less for the quality you want for your home. 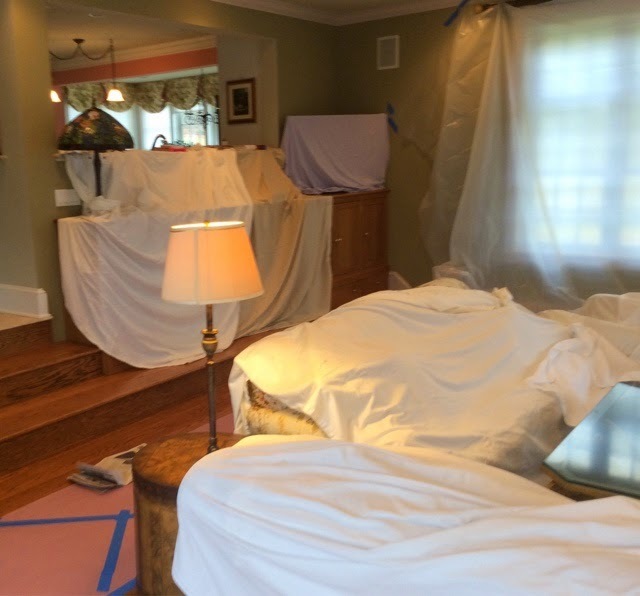 Combined with our many complimentary services, this means value for you that no "70% OFF" sale can match. 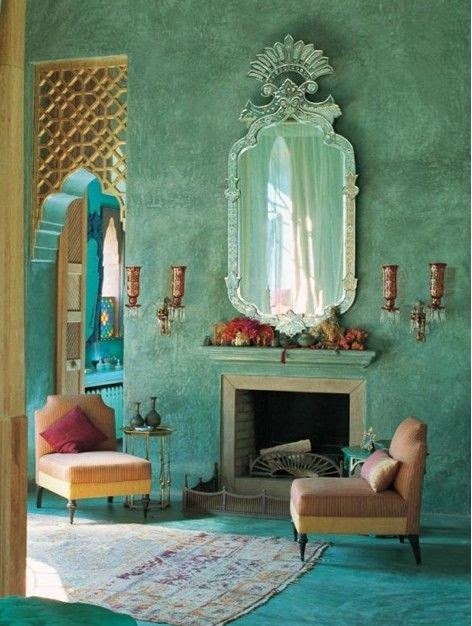 The hand-knotted oriental rug has a distinguished seat on the dais at this design seminar where profound statements are being made in a genteel exchange of ideas from all participants.